Tennessee state capitol. Photo by Andre Porter. On October 30, 2015, scores of Tennesseans—state workers, organizers, park employees, concerned students, faith leaders, veterans—stood shoulder to shoulder in the marble halls of the Nashville capitol. They had traveled from across the state to stand in solidarity against a privatization plan that would seriously undermine their livelihoods. Inside the large manila folders they carried were petitions signed by 6,368 Tennesseans who had one message for Governor Bill Haslam: “Tennessee is Not For Sale.” The phrase has become a rallying cry, hashtag, and the favorite chant of a state-wide movement in defense of the public sector. The protestors’ jobs have come under attack as Gov. Haslam moves forward with a plan to outsource the management of public universities, state parks, hospitals, military facilities, and more. The plan to outsource thousands of jobs has caused an uproar. State workers and legislators alike have raised concerns about the widespread damage outsourcing could cause. But the uproar is relatively new. Most Tennesseans had not heard of any plans for the state government to privatize jobs until mid-August of 2015, when a planning document was made publically available after an open-records request. This was a “Request for Information,” released by Tennessee’s Department of General Services in search of vendors equipped with “the capacity and experience to provide outsourced facilities-management services to the state.” The document revealed to Tennesseans that the state was starting to look for third-party corporations to take control of the 90 percent of the state facilities still publicly managed. In fact, the plan had been quietly set in motion at least a year prior to the release of the RFI. And though a spokesman from Governor Haslam’s office presented the document as “just part of an information-gathering process,” a timeline had been created that scheduled the complete privatization of facilities within a year. News Channel Five in Nashville leaked the internal timetable detailing the process—from corporations bidding on contracts to signing the final contract in August 2016. 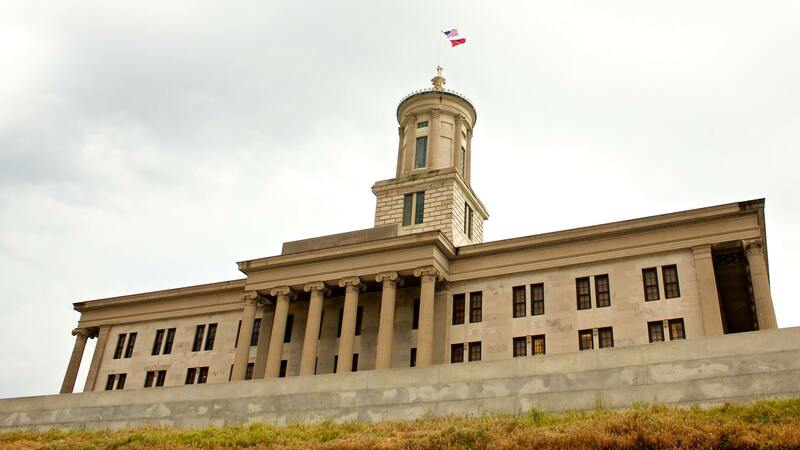 By the time the general public heard about the plan, its implementation had already commenced—without the inclusion of other state legislators or the consent of Tennessee citizens. As a student at the University of Tennessee, I was initially confused about what this proposal would mean for our state. On its face, outsourcing seems to allow us to cut costs and more efficiently manage our facilities. But taking a closer look at the issue, I became deeply concerned. In an effort to reduce costs, third party corporations often slash workers' benefits and cut their hours down to part-time — if they are allowed to keep their jobs at all. As a result of outsourcing at Tennessee Technical University, custodial employees lost benefits that previously amounted to 55 percent of their income. Any of the employees who were able to regain their positions did so at approximately half of their previous pay. And in the end, TTU only saved about $100,000 – directly at the expense of their lowest paid workers. At UT alone, the United Campus Workers union estimates that privatization could impact over 1,000 jobs with benefits. As Tennessee’s preeminent land-grant institution, UT is a huge public employer and would be one of the top institutions impacted by privatization. State workers like Herman Green, a service aide at UT-Knoxville, are acutely aware of what outsourcing would mean for their livelihoods. Green secured his job working in the Dabney-Buehler building at UTK a year and a half ago, after searching for employment for seven months. He had lost his job as a private school history teacher when “the economy bottomed out” and his job was cut. After settling into his job at UT, he says he never wants to go through the struggle of unemployment again. Outsourcing is a daunting proposition for many workers, not only because of it how it will affect their own lives, but also what it would mean for dependent family members. Green has a wife and two kids—one working on a college degree and the other finishing up high school. He said he was attracted to UTK partly because of the benefits package offered and the potential for his kids to attend college with discounted tuition. Gov. Haslam’s plan would affect workers across many sectors, and expel taxpayer money from local economies into the pockets of large, and often out-of-state, corporations. Privatization would not only slash hours and benefits for current workers, but lower the standard of treatment for any new hires. It’s an all-around loss for waged workers in Tennessee and the local economies they contribute to. Moreover, handing over the management of facilities to a private company could damage the sense of family and community that many campus workers at UTK have been able to cultivate. Cassie Watters, a union organizer for the United Campus Workers, feared privatization would turn the university into a corporate environment instead of a place where students, staff, and campus workers interact on a daily basis. UT’s stated list of values includes creating “a culture that appreciates and respects faculty, staff, and students, and that acknowledges their interdependence and the vital role of every member of the Volunteer family.” It’s this interdependence and focus on “family” that underscores the difference between public and private sector goals. Public universities are not corporations, and their top priority isn’t profit maximization. When campus workers at UTK found out about the governor's outsourcing proposal, Green said “morale dropped drastically,” and people started looking for work elsewhere, fearing the loss of their jobs with little notice. For many campus workers, however, the privatization of custodial services is a familiar tale. Custodial work had been outsourced at UTK since the late 1990s when the administration decided to bring the work back in-house in 2012. The decision to end outsourcing was lauded by university administrators as an improvement for workers and the campus community overall. Institutions across the country have been similarly unimpressed by the effects of outsourcing. In fact, one survey by the International City/County Management Association found that 52 percent of governments that brought services back in-house did so primarily because of insufficient cost savings. After going through years of outsourcing and making the intentional decision to bring work back in-house, many at UTK, including Watters, are concerned that the state is considering a regressive decision. Indeed, the state of Tennessee has privatized different public entities before, with many of the same detrimental results. In 2013, Haslam moved to privatize the management of a few state buildings to Chicago-based corporation Jones Lang LaSalle. Under the contract, 126 state workers received just 60 days’ notice that they would be losing their jobs, and only 37 were ultimately rehired by JLL. To further complicate the matter, a 2013 audit conducted by the Tennessee Comptroller's office found that JLL stood to gain from at least two of its own multi-million dollar recommendations to the state. JLL's contract with the state had been gradually increased from $1 million to $10.7 million without any new bidding. Two years earlier, the Department of General Services outsourced the state's motor pool to Enterprise without any bid process. The state entered into this contract with few questions asked or local alternatives considered. And it ended up being a very bad deal for the state economically. To rent a mid-size car for a day, an average citizen pays $26. Through its contract with Enterprise, the state would pay $31 for the same car. Despite examples to the contrary, Governor Haslam is now presenting this state-wide privatization plan as a way to increase efficiency and reduce costs for the state. "We're saving millions of dollars -- that's millions of dollars that we can put into education," Haslam recently told reporters. But research shows that the state does not stand to benefit from outsourcing on either account. A consulting firm recently found that the current cost to maintain UTK's campus is $5 per square foot, which is $6 less than the universally accepted index metrics. And when it comes to quality of service, UT's facilities services already has a 94 percent satisfaction rate among the people they serve, whereas the state has an 85 percent target satisfaction rate for the outsourcing initiative. Additionally, the state of Tennessee ended the 2014-2015 year with a budget surplus of almost $606 million, making it difficult to see the need for cost-cutting measures like privatization in the first place. But to Shea Lewis, a senior studying psychology at UTK and a co-chair of the Progressive Student Alliance, even this discussion about the numbers does not tell the full story. Lewis and other organizers across the state also feel that there has been a lack of transparency and open governing throughout the entire process. Back in August, Haslam told reporters, "I'd ask the Democrats and everybody else: let's wait and see. Let's wait and see what the results are.” After a Board of Trustees meeting, UT system president Joe DiPietro urged workers, particularly those protesting outside, to “be less anxious.” And in mid-October, when journalists leaked documents related to privatization, including emails between state officials, Gov. Haslam's office responded by encouraging those working on the project to cut down on emails that could be leaked to the public. And Gov. Haslam is no more forthright when asked about privatization in person. He visited my university in October for a Jeb Bush rally. After waiting in line as he took the requisite selfies with college students, a friend and I gathered the courage to approach him. “As students and citizens of Tennessee, we’re very concerned about your privatization plan,” we told him. His immediate reaction was to say, “What plan?” and assure us that nothing was set in stone. State employees — the main stakeholders in an outsourcing move — have been largely shut out of the process, not given the chance to defend their jobs or share their ideas. “At one point I contacted my local officials and I was told, ‘Let the professionals take care of it,’” Green said. “And then later on, just two weeks later, I was told, ‘Contact your representatives.’” If there's a silver lining in this, it’s that opposition to this plan has brought stakeholders and organizers from across the state together and unified them under one cause. Green said his membership in the United Campus Workers union has shown him the power of working in solidarity toward a common goal. President Joe DiPietro, in a leaked email, requested that the UT system have the chance to opt out of this plan if it moves forward. This leaves many asking why the governor is pursuing a plan that key stakeholders are already doubting. But it also gives organizers in the UT community the unique opportunity to put pressure on administrators to opt out of the plan. At least 6,368 Tennesseans have signed the petition saying that they object to the outsourcing of state jobs. Only time will tell whether Gov. Haslam will listen to them.